The high-rise closings include resales by owners and developer units because many were built in the past decade before the Great Recession and never sold. Given that sales routinely exceed the 200 mark during a quarter, the year’s final total is likely to exceed the 2017 number of 843 sales. There were 717 sales in 2016 and 626 in 2015. If the trend holds, the 2018 sales will be about 40 percent higher than 2016. Applied Analysis principal Brian Gordon said that the luxury high-rise residential market has had sales volumes that have been “relatively consistent, and prices have firmed up.” Several projects continue to fetch sales prices that are below the original cost of construction, he said. “With the development of new projects expected to remain limited in the near term, additional upward pressure on prices is likely to prevail,” said Gordon, who added there is less than a five-month supply of high-rise condos on the market. “National economic fundamentals should be viewed as a positive, particularly for those seeking a second or third home in a turnkey high-rise property in Las Vegas,” he said. Applied Analysis reported there were 341 units on the market at the end of September with an average price of $912,709, or $589 per square foot. By contrast, the average price of units sold in the third quarter was $496,658, or $375 per square foot. The first quarter of 2018 had one of the best average prices at $583,008, led by 30 closings averaging $1.4 million, or $984 a square foot, at the former Mandarin Oriental. It has been sold for $214 million to the billionaire founders of Panda Express and has been rebranded as a Waldorf Astoria. The property had 18 available units on the market averaging $3.3 million, or $1,503 per square foot, at the end of September, according to Applied Analysis. In the high-rise condo market, Panorama Towers has led the way in sales this year with 69 through the first nine months. There were 25 in the third quarter with an average price of $574,000, or $397 a square foot. 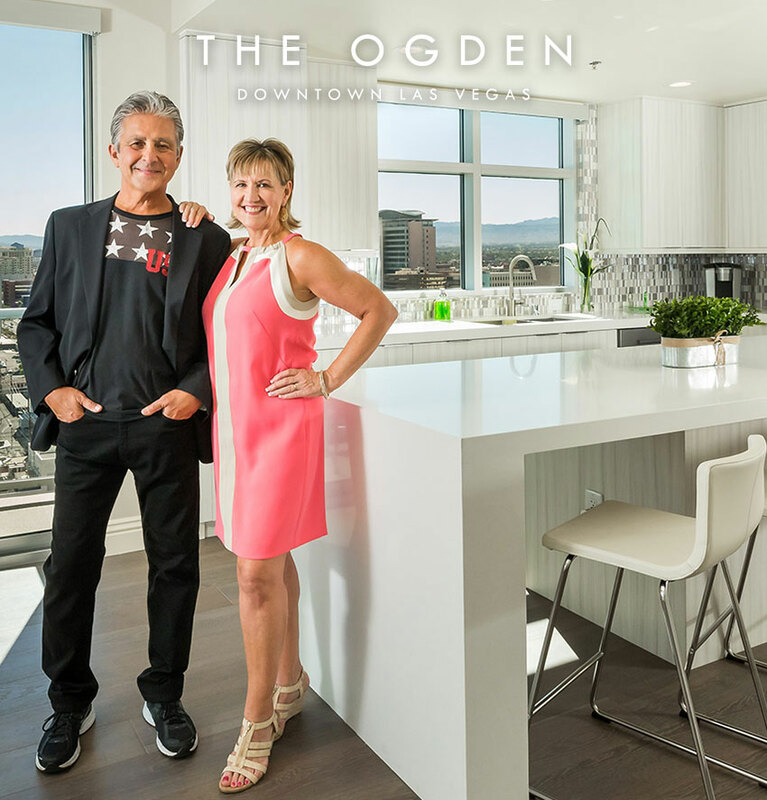 Another one of the beneficiaries has been DK Las Vegas, which acquired a portfolio of more than 1,300 condos in 2013, including The Ogden and Juhl in downtown and One Las Vegas on Las Vegas Boulevard South. The group closed on 138 of the 659 units in the first three months of 2018, or 21 percent of the total 21 towers monitored, according to Applied Analysis. One Las Vegas had 35 closings in the second quarter, the most of any condo tower in any given quarter in more than a year. It had 65 closings in 2018 with 18 in the third quarter, averaging about $414,000 a unit, or $275 per square foot. One Las Vegas reported that it sold a 2,854-square-foot penthouse this year for $1,161,900, the equivalent of $407 per square foot. The sale, made to a California resident, is the most expensive residence sold to date in the entire portfolio, according to Uri Vaknin, a partner at KRE Capital. MGM Signature, a condo-hotel, on the far south end of the Strip has had 62 closings this year. Nearby Veer Towers in CityCenter had 45 closings. Palms Place, a condo-hotel, on the west side of Interstate 15 had 53 sales this year with 25 in the third quarter with an average price of $333,900. It’s part of a trend of owners listing units for even higher prices. In the past month, 19 units were listed at an average price of just over $700,000, or $643 per square foot. The Waldorf Astoria has 18 listings with an average price of $3.3 million, or $1,503 per square foot, the highest price per square foot for any Las Vegas high-rise. There is room for appreciation because of the lack of inventory and desire to live in a condo by young professionals and empty nesters and those nearing retirement. Rising interest rates could make some people fearful, but that won’t have much of an impact by costing an extra $20 to $40 a month, he said. Vaknin said that 30 percent of his buyers are from California and those buyers aren’t price-sensitive. A price of just under $500 a square foot in California is what someone would buy for an unimpressive condo outside the major markets. About 50 percent are local buyers, he said. Between 2014 and 2016, most Las Vegas high-rise condos were under $300 a square foot, Vaknin said. He said his company helped bring financing back to the market. One of the factors that kept prices depressed for many years is that a buyer either had to pay cash or put a significant amount of money down, Vaknin said. That has loosened up, and buyers can purchase a condo in a building if they are a primary homebuyer with 5 percent down, he said. If they are secondary homebuyers, the figure is 10 percent down, and investor buyers need 15 percent down. One 64-story condo-hotel tower where sales have picked up is Trump International Las Vegas, a joint venture between the Trump Organization and casino owner Phil Ruffin that opened in 2008. The Trump has had 45 closings for the first nine months of the year. It had 46 for 12 months of 2017. There were 16 closings in the third quarter at an average of $297,438, or $530 a square foot, according to Applied Analysis. No tower has more units on the market with 45, and the average value is $383,529, or $550 per square foot, according to Applied Analysis. Last year, Breen said, she saw more second-home users than people who place their units solely in the hotel’s rental pool. There are 1,282 units in the building, and about 115 units remain for sale, Breen said. Breen said the presidency of Donald Trump hasn’t affected sales one way or another. People are buying a condo lifestyle on the Strip. The building was sold out when it opened, but because of the recession, only about 10 percent of the units closed, Breen said. “Since then we are about 85 percent sold now,” Breen said. In musings about the condo market, Vaknin said it will be interesting to see what impact the brand change has on the former Mandarin Oriental. It has had an Asian influence with artworks by Asian artists, and there are questions how that will work with the Waldorf Astoria brand, which is a storied New York City prewar brand. Among other high-rises, there have been 91 closings this year at Turnberry Towers and Turnberry Place through September. Turnberry Towers had 39 this year, 17 in the third quarter, with an average price of $431,794, or $355 per square foot. Turnberry Place had 52 closings with 16 in the third quarter with an average price of $1.08 million, or $360 per square foot. There were 15 sales in the first quarter at an average of $624,227, or $245 per square foot, and that came in at 21 sales at $760,286, or $313 per square foot, in the second quarter. Turnberry Place has 22 listings with the average price of $1.5 million, or $485 a square foot. Turnberry Towers has 23 listings for an average of $542,261, or $391 per square foot. For years, residents of Turnberry Place were hindered in selling their homes because the Stirling Club had been closed since 2012. It was purchased by DK Hospitality earlier this year for almost $12.4 million, according to John Katsilometes of the Las Vegas Review-Journal. 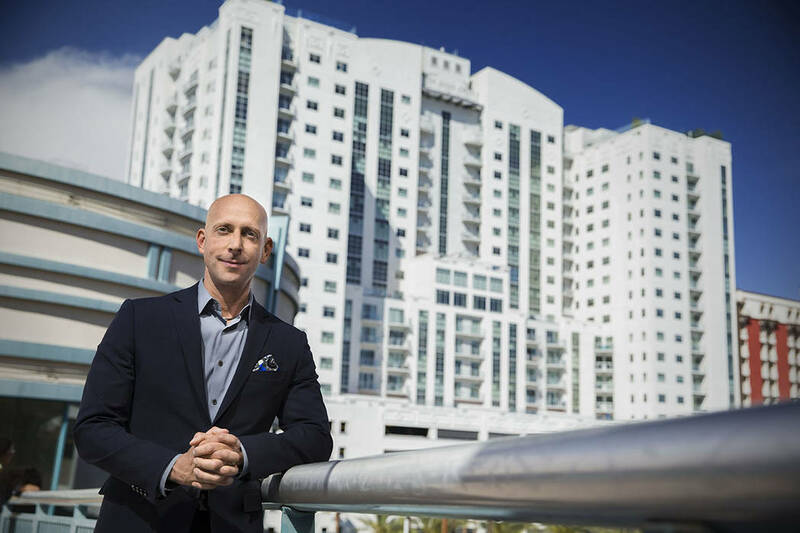 With the adjacent Fontainebleau resort and casino mothballed from the recession, no one knew what was going to happen and whether the building would be torn down, Vaknin said. In 2017, New York developer Steve Witkoff bought the property and renamed it The Drew, which will reopen in late 2020 when construction is completed. “While they have not provided what the full program of The Drew will be, people have a sense of comfort that it will be a fully operational building and not going to torn down,” Vaknin said. Among other notable projects, One Queensridge Place in the west valley had 18 closings this year with the third quarter average at $1.3 million, or $445 per square foot. It has 20 units listed for $2.3 million, or $610 per square foot. Park Towers in the Hughes Center near the Strip had five closings for the year and three sales in the third quarter with an average price of $1.6 million, or $486 per square foot. It has six listings with an average price of $3.4 million, or $927 per square foot. Sky Las Vegas had 29 closings this year.